Peru was hit by horrific landslides and torrential rain in 2017. The poorest people live on the slopes on the edge of Paita, Peru and so are the most affected. 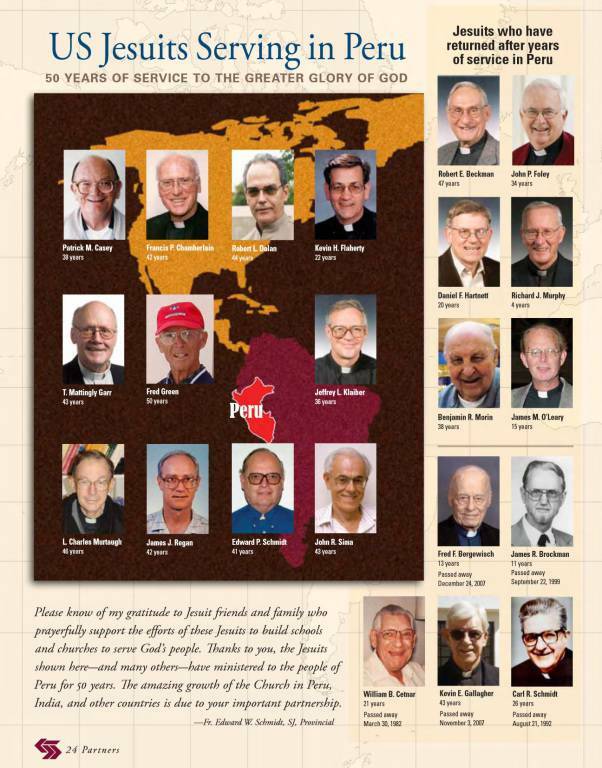 The Jesuits have been working in and around of these communities since 2017. Those who have survived this tragedy are left with nothing. Donations to Fe y Alegría will go towards ensuring that affected children are able to restart school; so we can help affected families rebuild their livelihoods. Your generosity has made such an enormous difference in the past. It is really needed now. All gifts received will be appreciated. Come and enjoy an evening of solidarity! St. Francis Xavier Parish has a long tradition of twinning with La Parroquia de la Virgen de Nazaret (the parish of the Virgin of Nazareth) in Lima, Peru. Since 1999, we have supported each other in solidarity of prayer, personal pilgrimage visits, and resources. Their pastor, Jesuit Father Matt Garr S.J. has often visited us to celebrate the Eucharist with us to give a first-hand report of the wonderful work that is being done in the Lima neighborhood where the small parish is located: the area is called El Agustino. In January 2004, in January 2006, and again in 2008, a group of pilgrims from St X traveled to Peru to visit our sister parish in person. In June 2018, a group of pilgrims from St X along with some benefactors from the Midwest Jesuit Province made a special pilgrimage to Peru to visit our sister parish, as well as other related Jesuit ministries. Our parish outreach group “Our Peru Solidarity” met again and our special guest was Fr. Bob Thesing, SJ, our former pastor (above right in 2004). Father joined us to talk about how we originally got involved with this small parish – La Virgen de Nazaret − in the El Agustino neighborhood, Lima, Peru. Back in 1998, the St X “Social Concerns Committee” realized the importance of the Jesuit call to be men and women for others. Not just in our parish, but with a broader view to help the poorest of the poor in other parts of the world. When Fr. 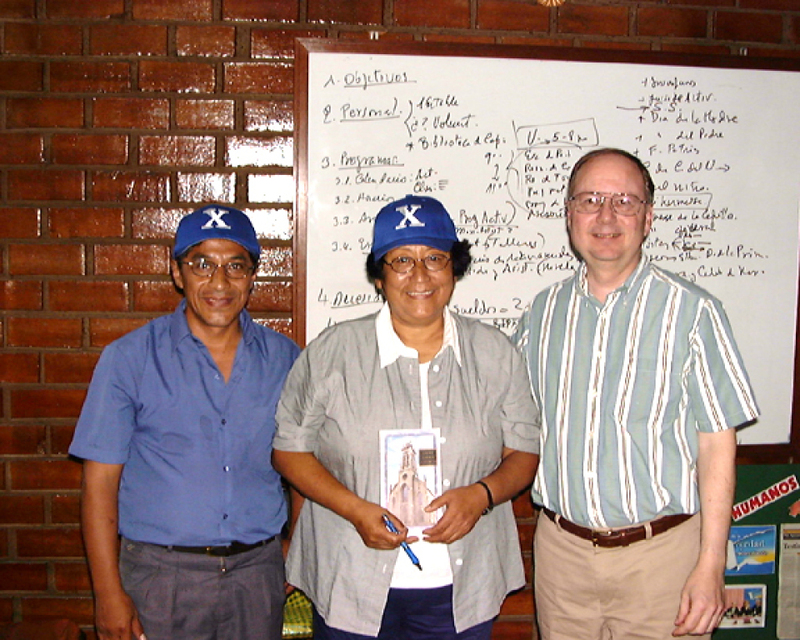 Thesing asked some of his fellow Jesuits for someplace where the people of St. Xavier might be of real help, El Agustino, Peru was the answer he received. Making a hearty plea to the parish back then, Fr. Thesing was able to collect $50,000 to send to the needy people of this poor neighborhood in Lima. We were impressed with the generosity of the parish back then. 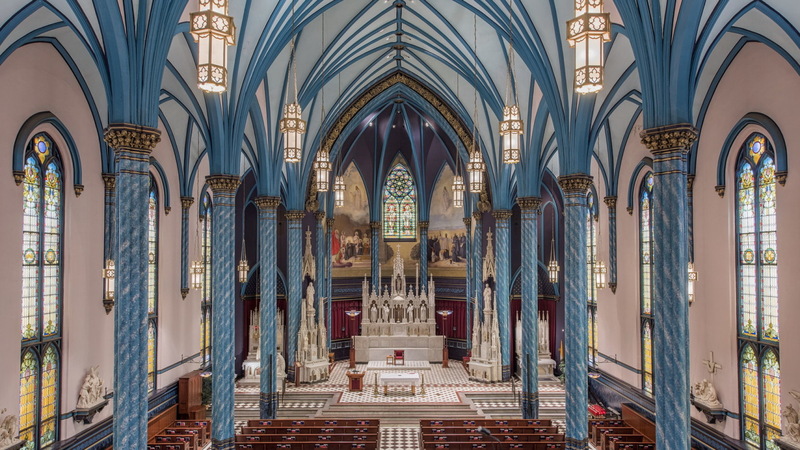 St. Xavier parish and Virgin of Nazareth parish have had a twinning relationship since 1999. For almost 20 years the pastor of Virgin of Nazareth has come to visit us annually to tell of the great need in his parish – especially for education and opportunities for their young men and women. And each year the generous people of St. Xavier respond – sharing their money to help in this work. And then another year goes by with little thought about this parish in South America. After our discussion with Fr. Thesing, the group brainstormed about how we could deepen this relationship. At the core we need more helping hands. One member of the group said something that hit a nerve with me. She asked why our parish priests and staff do not have “greater expectations of the parishioners.” As Christians we are called to help the poor – not just in the comfortable manner of writing a check, but with our time and talents. Yes, more people ought to be involved at this end, simply because we are called to care. Our Peru Solidarity is a group which meets monthly. The group needs several elements for it to “work.” We need people who understand social media and can help us connect with the people of El Agustino. We need leadership and workers to give our fledgling group direction, energy and a real sense of purpose. The scriptures each week tell of Jesus helping the poor, the sick and suffering. He did not send money. He rolled up his sleeves and waded into the fray. That was his message to the first disciples, and it is his message to us today. Whether or not you donate to a Peru fund, make a trip to Lima, or even read the periodic articles or news in the bulletin or on the website … you can make a difference with your time and attention! God needs our hands, our hearts, our labor to make a real difference in this hurting, suffering world. We are all expected to do our part. Not everyone can travel to Peru, but everyone can search their hearts to see what else they are being called to do. What gifts can you share? Take this question to the Lord in prayer. Perhaps we will see a few more of you next month (every 2nd Monday) at Our Peru Solidarity meeting.